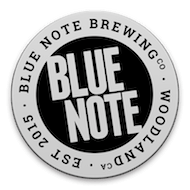 All of your Blue Note Brewery Questions Answered! Do you have Growlers and Crowlers? Absolutely. We have 64 ounce growlers and 32 cans to go. Do you use extracts in your beer? NEVER! We use 100% Grains in our beer. If your beer is flavored, for example our Raspberry Wheat Ale, it is flavored with REAL raspberry puree. Never an extract. This beer sounds like something that might interest me…where can I get it? At the brewery! We sell everything in house. We are at 750 Dead Cat Alley, Woodland, CA. We are also in finer beer bars and restaurants from Fairfield to Folsom. Lincoln to Elk Grove. All beer is Vegan right? You would think, but it actually isn’t. To be honest, quite a bit of Beer is NOT Vegan. At Blue Note Brewing we don’t use any honey for flavoring or any animal proteins to help drop the yeast. So yes, our Beer is animal free. Can I give you an idea for Beer? Always! If you have an idea for a beer or are an avid homebrewer drop me an email admin@bluenotebrewing.com, and let’s shoot some ideas around. We may have your beer in kegs the next month! Can I check out your Brewery? Absolutely! Please ask one of our folks to show you around. Yes! We now have "9 Lives" IPA, "Blood On The Tracks" Blood Orange 2X IPA & "Hopamine" Pale Ale available in 16oz cans here in the taproom at 750 Dead Cat Alley, Woodland, CA. 95695 and at these various locations around the greater Sacramento Valley. Just shoot us a message and we'll get right back with you!